Tyra considers herself an observer of history rather than a participant. In the time of the Iron Lords, Tyra was the keeper of their stories. Later, she helped found the Cryptarch order, but withdrew from its day-to-day operation to concentrate on her studies. Tyra has dedicated decades sorting through recovered artifacts, documents, and Ghost discoveries in hopes of bringing out the undeniable truths of our past. 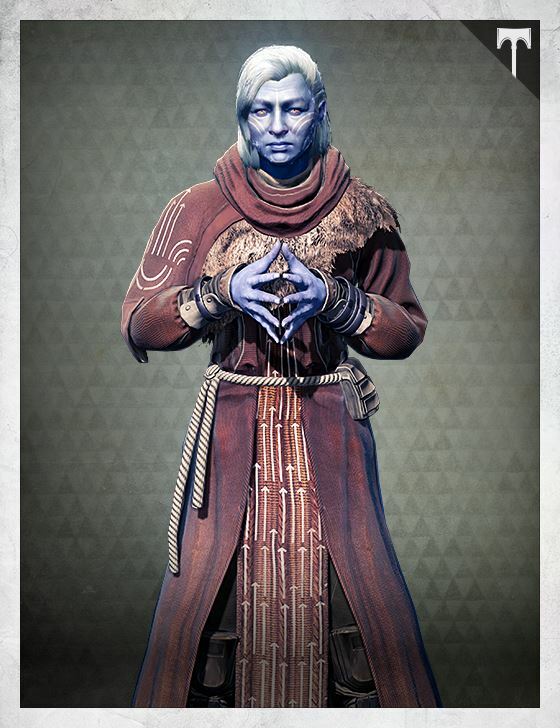 With the rise of SIVA, Lord Saladin has convinced his old friend to return to the Iron Temple.